The Latrobe Valley’s history over the past 100 years can be largely tracked side by side with the rise and fall of the brown coal industry. There have been boom times as well as bust, yet while industrial diversification has increased over the last decade the area still relies heavily upon its power industry for survival. The threat of ‘green energy’ looms large over many worried residents, whose economic livelihoods are entwined with the brown coal industry’s continuing predominance in the region. 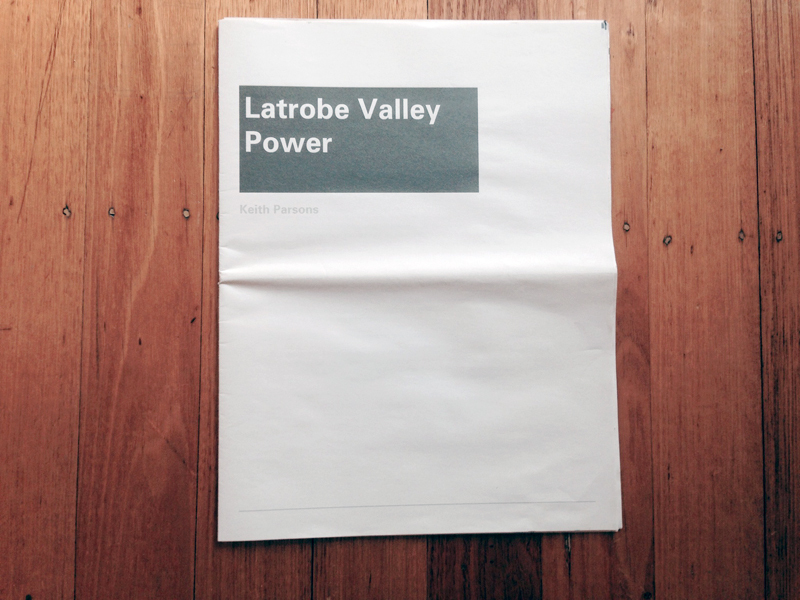 Latrobe Valley Power is a survey of the regions residents from a range of backgrounds in an attempt to gather a wider understanding of the history and future of the industry.